BekaertDeslee proudly announces that the Polish plant successfully passed the ‘Detox to zero’ by Oeko-Tex' audit. In a pilot project, BekaertDeslee, the Belgian textile research institute Centexbel and the inspection, verification, testing and certification company SGS, have audited the BekaertDeslee factory in Poland. BekaertDeslee is the first company within the bedding industry to use this new verification system for textile factories. With this audit, BekaertDeslee illustrates its commitment to reduce toxic water pollution and thus to help to build a sustainable future. Greenpeace launched their Detox campaign in 2011 to shed light on toxic water pollution issues, caused by a portion of the global apparel and textile industries. Greenpeace has since issued numerous reports that have helped focus the industry on cleaning up most of the practices that have gone unchecked in several parts of the world. 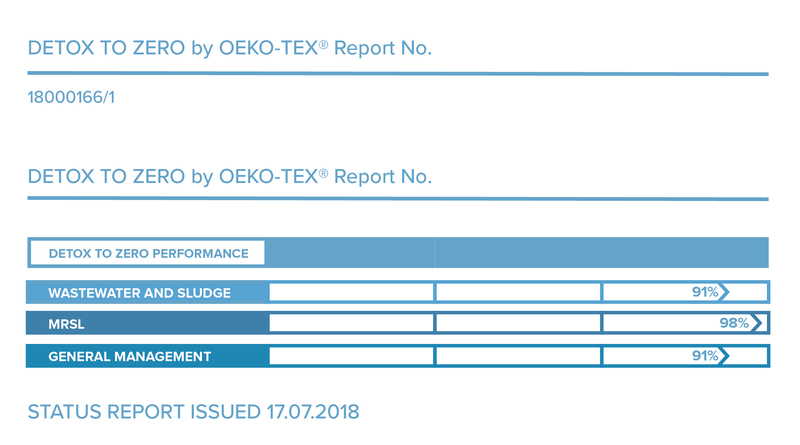 DETOX TO ZERO by OEKO-TEX® is a brand new, smart and easy-to-use verification system for textile factories who want to comply and align with the detox campaign goals through measuring and controlling of waste water and sludge. Detox to zero is not a classic certification system because it does not focus on a 'pass' or 'fail' status, it focuses on the engagement to improve. Continuous improvement by analyzing the situation and creating a robust plan to reduce dangerous substances in the production processes while implementing environmental protection procedures.